It’s just another day at work. 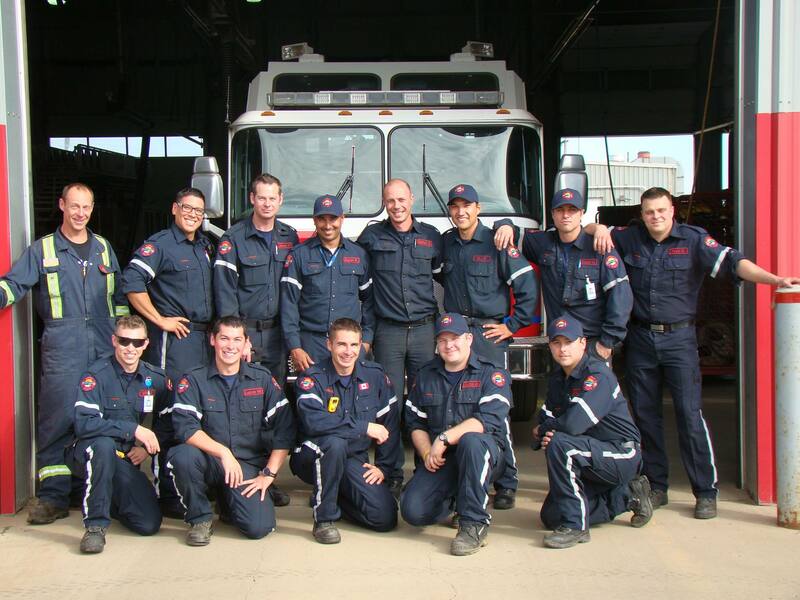 I sit at the table in the kitchen of the fire hall, the smell of food cooking on the stove. The sounds of the guys talking about their families, and what they are going to do for shortchange. Someone tells a joke and the room erupts in laughter. With a screech the radio cuts through the laughs “303 from 304, I just received a call for a man down, pulseless and not breathing”. As if shifting gears, the team launches into action and suddenly the kitchen is a ghost town; eerily empty and quiet; food still sizzling on the stove. There are lights and sirens, more radio calls. The smell of diesel exhaust. Traffic is tight, and it’s a battle to get through. There’s a palpable sense of urgency. We know that if there’s any hope for this guy, adequate CPR needs to start within 4 minutes. Every second counts. We pull up on scene, a man in his late thirties lays lifeless on the gravel in the middle of a parking lot. His friend leans over top of him, sweat pouring down his face, frantically trying his best to revive his friend whose heart has been stopped for almost 5 minutes. I put my hand on his shoulder, “Good Job Buddy, let me take over”. He moves aside, and I get down low next to my patient. I interlock my fingers and push down on his chest. I feel his ribs bend, and eventually break as the chest compressions cause his belly to rise and fall. There is nothing clean or beautiful about death. It is ugly and it is bitter. Time slows down for a moment. This is it. His last chance. Hope hangs precariously in the air. Were we fast enough? Can we bring him back? Or are we too late. The button is pushed and electricity washes over him as he arches his back and falls still again. There is a quiet pause. Did it work? I feel for a pulse. Please… let there be a pulse. Against all odds, his heart is beating again. His lungs fill with air. It is not his day to die. Life and death are part of the job. Each day I go into work knowing my actions could mean the difference between a daughter running into her fathers arms as he steps off the bus, or a husband getting the unthinkable phone call that his wife won’t be coming home. It’s my job to try and give people second chances. To do everything in my power, to use all my skills and training, to push back the inevitability and hostility of death. But I know a man’s story is not solely defined by the beating of his heart. We are not merely flesh and bone, destined to be dust. But our story is about how we separated our selves from God. How our sin, our pride, fractured our relationship with the creator. How our sin put us at odds with very nature of God. It’s the story of how he was unwilling to stand by and let us parish, though it was what we deserved. It’s the story of how he sent his own Son, the flesh and blood and spirit of God himself, to live a sinless life, to die on a cross, and raise again defeating death. It’s a story of redemption and forgiveness and hope where there was no hope. It’s the story of unwavering, uncompromising love. Just like that man who lay lifeless in the cold dust of that parking lot, each one of us is dead in our sin. We are hopelessly fighting against the certain and ever nearing bitterness of death. We are helpless to save ourselves. But there is hope. There is a chance to live. There is a chance to experience the wholeness of life the way God has always intended it to be. When a person decides to believe in and follow Jesus, they are choosing life. One of the ways we use to express this choice is baptism. So when a person is baptized it is this beautiful illustration of them being lowered into the grave. It is a symbol of how they have chosen to die to their sin and leave behind the baggage of their pain and shame. And from that grave we know it is the life-giving love of Jesus surging through their heart and soul awakening them from the sureness of death, to life in Christ. Jesus, the Great Defibrillator. Churches can be fairly intimidating places, especially if you’ve never been before. Some of us have been going to church a long time, and have developed a sort of “church blindness” that makes us oblivious to the things we enjoy and do every week. We know when to stand, and when to sit. We know the music. We know what communion is and how it goes every time. We even know that it’s ok to have a fussy kid or that the world doesn’t end if someone spills a coffee. But these are the things that can grip a visitor with anxiety. Now imagine with me, that you walk into a church for the first time in a long time, or for the first time ever. You mustered up enough courage to go somewhere new, somewhere you don’t quite understand, somewhere maybe you don’t fit in. You are greeted by someone kind and warm at the door, they point you towards an auditorium so you can find a seat, and as you enter through the doors someone passes you a palm branch and says “Welcome to Palm Sunday”. Say what now? What the heck is Palm Sunday and what are you supposed to do with this thing? What have you gotten yourself into. Now your worried about what to do with this branch, and thinking of all the Sundays you could have chosen to go to church, you chose one where they pass out leaves. Palm Sunday is a celebration that happens every year one week before Easter. It’s a day where churches all of over the world celebrate Jesus and his life that lead him to the cross. It is inspired by the account of Jesus entering the City of Jerusalem the week that he would be taken into custody, killed on a cross, and finally raised to life. It’s a story of a hot and sweaty day, with Jesus riding on the back of a donkey approaching the city (Matthew 21). As he gets closer there’s a buzz, an excitement growing as people begin to realize who Jesus is. So they roll out the red carpet. They use anything they can find, anything they have to lay down in his path. Some people use the clothes off their backs, and others run and grab branches off the trees and lay it the path of Jesus. It was a spontaneous moment of incredible worship as the crowd began to shout “Hosanna” which is a word of praise and adoration. There is a lot that can be taken from the story, and a lot of reasons why the global church celebrates this moment in time. At Fort City Church we love this story because it carries a message that applies to both the seasoned church goer and the first time visitor. That when Jesus comes into your life, he doesn’t expect from you what he deserves. All the gold and silver in the world isn’t enough to match hisworth. But instead he expects from you what you have to give, whether you think its enough or not. Even if it’s a simple palm branch laid at the feet of a King. Two years ago, my wife and I began the process of adopting a little boy from Africa. We’ve nicknamed him KJ, and he is beautiful. He’s not home with us yet, but not a moment goes by, where our thoughts are not on him and bringing him home as fast as we can. Each night when we put our 4 year old Justice to sleep, we finish our prayers with “…and please bring KJ home soon”. If it only were that simple. International adoption is a very complicated thing. There are lawyers, social workers, judges, and government offices from two countries involved. Aside from the paperwork and the actual process of adoption, it would seem we have hit every conceivable road block on our way to this point. From simple spelling errors in legal documents, to serious issues dealing with government court systems. Add on top of that, KJ getting malaria and on another occasion having to have surgery to remove his tonsils. This road has not been smooth and straight. My wife has been brought to tears more often then she deserves. One time Adrien was having a hard time, and as a few tears rolled down her face, Justice looked up from his toys and asked “Is mommy crying because of KJ?” I told him yes. Slapping his knee he said “Man that baby is hard to get!” He sure is Justice. The financial burden of this process has been easily overshadowed by the emotional cost of the highs and lows. Last Friday we received some more bad news, worse news then we have gotten before. KJs government has decided to suspend all adoptions for up to 12 months, to investigate if they are going to continue allowing international adoptions to occur. Hearing that news was like getting kicked in the gut. Instantly demoralizing. I was angry. Not again, not another hurdle. We have come too far, invested too much for this to happen. I wanted to blame someone, find someone to hate on. To be real honest, I wanted to break something. Those feelings were quickly interrupted by a moment of clarity. A realization whole week before this news, God had been preparing me to hear it. I had been getting songs together for that Sunday’s worship service, and spending time praying and reading the bible, and the theme that had been developing for the worship service, was to pray for faith. God wasn’t telling me that everything was going to work out the way I wanted. He wasn’t showing me that my emotional needs were the most important thing. It was the opposite. That it’s not about me at all. That however this stuff pans out, I need to put my faith in him. I went on to lead worship that Sunday, shared my story, and as a result experienced the most honest and heartfelt worship I’ve had in a long time. There’s a passage of scripture in 2 Samuel 24, where David is wanting to build an altar for God. He offers to purchase the land and materials from a man, who in reply tells David to take it all for free, no cost. It’s what David said next, that caught me off guard. David was unwilling to go before his God, with an offering he had not earned. David knew something about worship, something that can be hard to find sometimes in our highly produced, often consumer driven worship services. That the best worship, has a cost. Across the North American Church landscape, you can see the remnants of a modern day conflict. A campaign that left few churches unscathed. A battle that played out within the four walls of the local church. Where pews were the front lines and hymnals and chord charts the arsenals. Soo, that might be a little melodramatic. Okay ALOT melodramatic. But the truth is many churches have and continue to struggle through what has been dubbed the “Worship Wars”. My very own church was not sheltered from this battle. When I was young there was a fight over whether or not to sing hymns or more contemporary music. There were people on both sides of the issue, and both fought to see their ideology on worship prevail. As a kid, I was mostly sheltered from the consequences, but people were hurt, people left the church, and some people stopped worshiping all together. Causalities of a civil war. In the aftermath of all that, this is where I ended up landing. That for God, style hardly even factors into the equation. That when it comes to music, God is not exclusively an 80’s fan, a country fan, a techno fan, or even a worship music fan (though I’m pretty sure he is a U2 fan). I think Matt Redman said it best when he wrote this song in the midst of the conlfict. When you look at it that way, these Worship Wars look kind of silly. It was the 2009 Grey Cup, between the Riders and the Alouettes. The Riders have a two point lead, but the Alouettes have the ball with only enough time left on the clock to try for the game winning field goal. This is it, the entire Rider’s season depends on the Alouettes missing this field goal. I look around the room. My family’s body language tells the story. Nathan is facing away from the TV with his hands on his forehead. Josh is sitting forward; elbows on his knees; face cupped in his hands. I see Jake, his face white, his hands clenched in fists. My dad paces behind the couch, miles he’s travelled before as a lifelong Rider fan. The teams set up. We go silent. It’s so quiet I can hear my own bounding pulse. The kick goes up and it’s wide. The Riders win. The room erupts; we are jumping on the couch, hands in the air, hugging and high fiving. There is no holding back the elation we feel winning the cup. Then the unthinkable, the Riders are called for a penalty, and the Alouettes get another chance to steal the win. They make good on that chance and win the game. The collective energy of the room goes from unrivaled elation, to unequaled sorrow. Jake falls to the ground, face hidden in his hands; Josh is staring at the wall, trying to understand what just happened; a door is slammed and a wall is kicked; a tear rolls down my face, a small manifestation of the emotional roller coaster we’ve all just been on. We love our football, and the expression of that love makes us do some crazy things. I get a unique point of view when I’m at church. Standing on the stage with my guitar, looking out past my microphone during worship. I get to see all sorts of things; a woman with her eyes closed, and hands raised; a man on his knees, face hidden from the world; people with their hands on their hearts, tears coming down their face; or those sighting quietly, bible open on their laps. But I also get to see the reaction of the new person, looking around at these things happening. That person is always obvious, because the look they have on their face says “what the heck is going on here?”. To them, we must seem crazy. To them, our actions probably seem weird and out-of-place. They don’t yet understand that there is nothing “magical” or “uber-spiritual” about what is happening. That there’s no appointed time to raise your hand, or bow your knee. No instruction that says those who stand are greater then those who sit; that those who sing are doing better then those who listen. They don’t yet understand that the gift of hope we have received in Jesus, that the joy of our Salvation cannot be contained. That those engaged in worship together, whether dancing in the aisles, or sitting in quiet reflection, do so because the grace that is Jesus flows like living water within them. Like an over flowing cup. Like a child who at the faint sound of the door knob turning, screams and sprints to the door to embrace his father as he comes home from work. And yes, like a Rider fan leaping to his feet as the football crosses into the end zone. We love our God, and the expression of that love makes us do some crazy things. As a worship guy, you can probably imagine that I spend a lot of time (and money, haha) listening and looking for great tunes, both old and new. Worship music has gotten so big that it has become its own genre. That’s to say it contains a diverse range with guys like The Digital Age pumping out modern electronic music, all the way to Gungor with their raw, and edgy sound. Sometimes, it can be hard to find the good stuff out there. Hopefully I will be able to help steer you in the right direction as I share great new albums, new bands, and songs that we are doing at church. This album is full of modern, edgy, bible inspired lyrics. That last bit is actually pretty important. There have been those who have criticized modern worship for its me first mentality, and they may have a point. But not with this album. 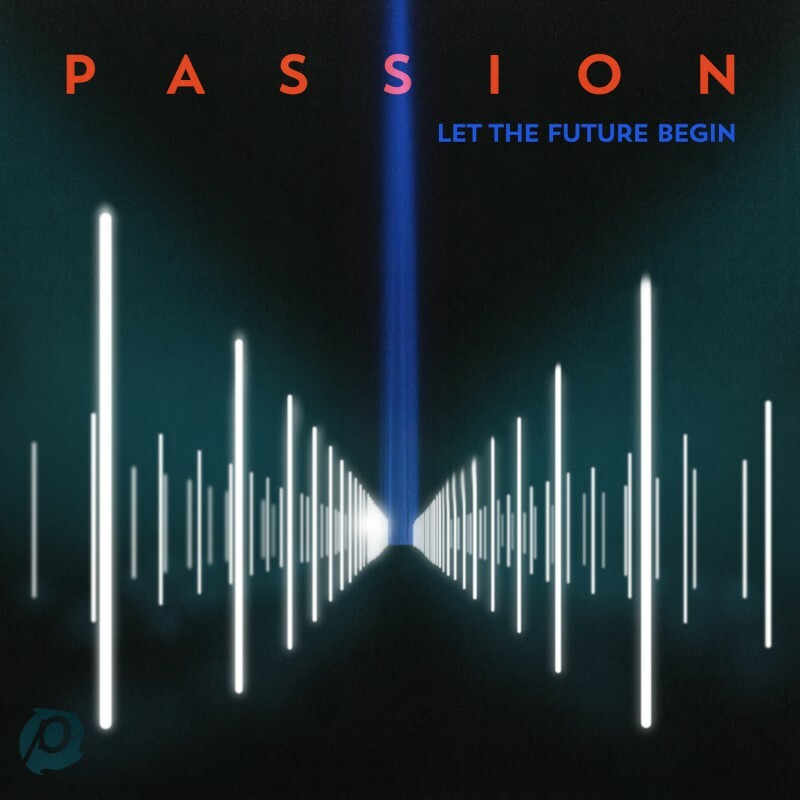 With lyrics like “We believe our God is Jesus” or “The Lord our God is ever faithful, Never changing through the ages” the Passion crew emphasize that’s it all about God. We’ve worked a few of these songs into our Sunday services at the Alliance Church, including my personal favorite “Here’s My Heart”, “The Lord Our God”, and “Whom Shall I fear”. If your looking for something new to put on your iPod, this album should be it. In the end, when everything is said and done, we all end up the same. Like a room that hasn’t seen the light of day in years. Walls draped in spider webs, a thin layer of dust resting on old pictures and unread books. The product of stasis. Or like that favorite pair of jeans. comfortable, a tear in the knee, and 5 shades lighter than the day they were bought. Used, and worn in. We all end up Filthy and Faded, what matters, is how.